Operetta is a genre of the performing arts, related to opera, but lighter in terms of both music and subject matter. Because it is closely related to both opera and also to musical theater, in many cases, it is difficult to differentiate between them. 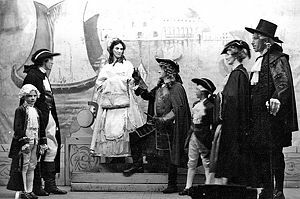 The term began as a label for stage works that were shorter or otherwise less ambitious than full scale operas, in the seventeenth and eighteenth centuries. Operetta became hugely popular in America in the nineteenth century, in no small part thanks to works by the likes of Gilbert and Sullivan and Johann Strauss. In addition, the operetta is the precursor of modern musical theater. Operettas have had a vast impact on western culture. They have made opera, a typically dense and epic form of entertainment, available to the common public and accessible and enjoyable to all. They have influenced the development of later musical styles, particularly the Broadway musical, originating in New York, which has now gained popularity around the world, outstripping both opera and operetta. All of these forms, opera, musicals, and operetta, contribute to mankind's quality of life by providing beauty, inspiration, and thought-provoking and educational scenes to enrich each viewer's life experience. A scene from the Italian operetta Il paese dei campanelli. Normally, in an operetta, some of the libretto is spoken rather than sung. Instead of moving directly from one musical number to another, the singers are given periods dialogue interspersed between the musical segments, which are performed without any singing or musical accompaniment, though sometimes musical themes are played quietly under the dialogue. Some operettas include passages of recitative, a style of semi-sung, semi-spoken text used in light opera between the musical numbers. Operettas are often considered less "serious" than operas, although this has more to do with the often comic (or even farcical) plots than with the caliber of the music. Topical satire is a feature common to many operettas, although this is also true of some more serious operas as well. Formerly, opera expressed politics in code in some countries, such as France; for example, the circumstances of the title character in the opera Robert le diable was a code for the parental conflict and resolution of the king of France at its first performance. Operetta is a precursor of the modern musical comedy. At the same time, it has continued to exist alongside the newer form—with each influencing the other. There is a fundamental but subtle distinction between the two forms—and this distinction is quite useful, provided one recognizes that nothing about the definition is clear, simple, or unambiguous. 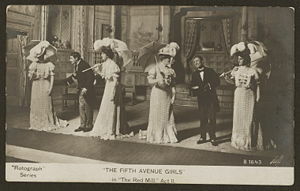 Photo from the 1906 production of Victor Herbert's The Red Mill. Most operettas can be described as light operas with acting, whereas most musicals are closer to being plays with singing. This can best be seen in the performers chosen in the two forms. The cast of an operetta will normally be classically trained opera singers; indeed, there is essentially no difference between the scores for an opera and an operetta, except for the operetta's lightness, and the dialogue segments between the numbers. A musical is more likely to be cast with actors who sing, usually not in an operatic style. The actors in a musical are also often required to dance. No matter how the distinction is drawn between operetta and musical, there are bound to be exceptions. W.S. Gilbert, for example, said that he preferred to use actors who could sing for his operetta productions, while opera singers have appeared on Broadway, for example Ezio Pinza, a great Don Giovanni, appeared in the Broadway musical South Pacific. In addition, there are features of operetta vocal style in Kern's musical, Show Boat (1927), Bernstein's Candide, and Walt Disney's animated Snow White (1937), among others. French composer Jacques Offenbach was a leading force in the early days of the operetta. Operetta grew out of the French opéra comique around the middle of the nineteenth century, to satisfy a need for short, light works to contrast with the full-length entertainment of the increasingly serious opéra comique. By this time the "comique" part of the genre name had become misleading: Carmen (1875) is an example of an opéra comique with a tragic plot. Opéra comique had dominated the French operatic stage since the decline of tragédie lyrique. Though Jacques Offenbach is usually credited with having written the first operettas, such as his La belle Hélène (1864), Ernest Newman remarked that the credit should really go to one Hervé, a singer, composer, librettist, conductor, and scene painter, whose real name was Florimond Ronger (1825-1892). 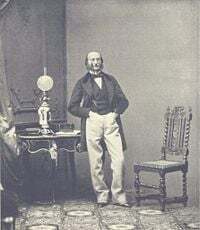 "But it was Offenbach who took up the genre and gave it its enormous vogue during the Second Empire and afterwards." Robert Planquette, André Messager, and others carried on this tradition. The most significant composer of operetta in the German language was the Austrian Johann Strauss, Jr. (1825-1899). His first work in this genre was Indigo und die vierzig Räuber (1871). It was his third operetta, Die Fledermaus (1874), which became the most performed operetta in the world and remained his most popular stage work. Its libretto was based on a comedy written by Offenbach's librettists. In fact, Strauss may have been convinced to write the operetta by Offenbach himself although it is now suggested that it may have been his first wife, Henrietta Treffz who repeatedly encouraged Strauss to try his hand at writing for the theater. In all, he wrote 16 operettas and one opera in his lifetime, mostly with great success when first premiered although they are now largely forgotten, since his later librettists were not very talented and he worked for some of the time independent of the plot. His operettas, waltzes, polkas, and marches often have a strongly Viennese style and his great popularity has caused many to think of him as the national composer of Austria. In fact, when his stage works were first performed, the Theater an der Wien never failed to draw huge crowds, and after many of the numbers the audience would noisily call for encores. Franz von Suppé, a contemporary of Strauss, closely modeled his operettas after Offenbach. The Viennese tradition was carried on by Franz Lehár, Oscar Straus, Carl Zeller, Karl Millöcker, Leo Fall, Richard Heuberger, Edmund Eysler, Ralph Benatzky, Robert Stolz, Emmerich Kálmán, Nico Dostal, and Sigmund Romberg in the twentieth century. The height of English-language operetta (at the time known in England as comic opera to distinguish it from French or German operetta) was reached by Gilbert and Sullivan, who had a long-running collaboration in England during the Victorian era. With W.S. Gilbert writing the libretto and Sir Arthur Sullivan composing the music, the pair produced 14 "comic operas" together, most of which were enormously popular in both Britain and elsewhere, especially the United States, and remain popular to this day. Works such as H.M.S. Pinafore, The Pirates of Penzance, and The Mikado continue to enjoy regular performances and even some film adaptations. These comic operas influenced the later American operettas, such as those by Victor Herbert, and musical comedy. English operetta continued into the twentieth century, with works by composers such as Edward German, Lionel Monckton, and Harold Fraser-Simson—but increasingly these took on features of musical comedy until the distinction between an "old fashioned musical" and a "modern operetta" became very blurred indeed. Old fashioned British musicals, in particular, retained an "operetta-ish" flavor well into the 1950s. More modern operettas include Candide and, some would claim, musicals like Brigadoon. A late twentieth century renewal of the importance of recitative and serious musical composing developed in rock operas such as Andrew Lloyd Webber's Jesus Christ, Superstar, Evita, and Phantom of the Opera have rearranged the elements of opera, operetta and musical theater in yet another way, yielding works with music more like an operetta than a musical, serious plot lines more typical of a standard opera than an operetta, yet performed primarily by artists with musical theater backgrounds, in musical theater venues. A scene from Ralph Benatsky's operetta, The White Horse Inn. The exact structure of an operetta is difficult to pin down, mostly because of its loose definition. It is useful, however, to point out some of the things that define the differences between an operetta, a Broadway-style musical and a standard opera. In an opera, the drama is carried along by the music and singing. Operas usually emphasize an epic, grand style, with more emphasis on singing than acting. Operettas, on the other hand, tend to have dialogue broken up by musical numbers. An operetta is almost casual in comparison, and the singing style is very different. Many operettas can be performed by average or fair singers, whereas most operas cannot. Operetta does not ask much of its audience, in contrast with opera, which is often hard to understand unless one is familiar with the story beforehand. Operettas are romantic, and nearly always promise a happy ending. The score is accessible and soaring, with the tenor and soprano taking center stage and a supporting cast that includes comedians and a large male chorus. The setting is often an exotic European country or a mythic utopia—or often, a combination of the two. And the plots usually center around aristocratic, farcical, love stories. 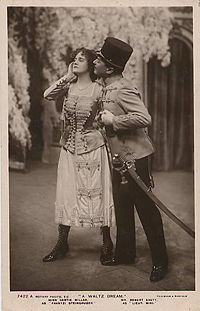 While operettas may have become much less common after World War I, replaced by the more popular musicals, they have yet to disappear completely. Indeed, the Toronto Operetta Theatre, founded in 1985, continues to produce classical operetta featuring professional Canadian artists of exceptional talent. Their repertoire of the theater includes the music of Johann Strauss, Franz Lehar, and Gilbert and Sullivan—mainstays of operetta. In addition, the Victorian Operetta Society (VOS), based out of Northumberland County, Canada was founded in 1990. The VOS is a community theater group, drawing on a highly talented membership of actors, musicians, dancers, and singers to present professional quality operettas at Victoria Hall in Cobourg, Ontario. Similar organizations are not uncommon throughout the world, especially in English-speaking countries. A case can also be made that operettas provide the missing link between operas and Broadway-style musicals. The operettas of Gilbert and Sullivan, for example, are interspersed with spoken dialogue and few, if any, of the original performers were professional opera singers. These traits are common in modern musicals to the point where it may become difficult to distinguish between modern musicals and classic operetta. And as such, operetta is a critical component in the evolution modern entertainment, in which it lives on. ↑ PBS, Operetta. Retrieved August 20, 2008. ↑ The Guide to Light Opera and Operetta, Guide to Composers. Retrieved August 20, 2008. ↑ Toronto Operetta Theatre, History. Retrieved August 22, 2008. ↑ Victorian Operetta Society, About Us. Retrieved July 28, 2011. 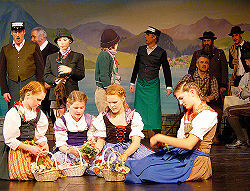 ↑ MIT Gilbert and Sullivan Players, Gilbert and Sullivan. Retrieved August 22, 2008. The Guide to Light Opera and Operetta, Introduction. Retrieved August 20, 2008. This page was last modified on 21 December 2018, at 15:55.